You’ve probably heard the saying, “bad data in – bad data out.” Well, bad data is outdated, incorrect, incomplete or duplicated information, and according to the Harvard Business Review, workers waste 50% of their time dealing with it. Now ask yourself, when was the last time someone at your firm took a deep dive into the data in your enterprise resource planning (ERP) system? 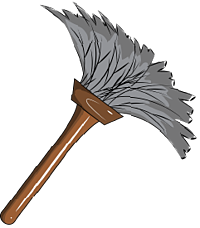 While the process of cleaning company data is time consuming, it is something all firms should do on regular basis. Businesses can achieve numerous benefits by fixing bad data. Here’s a look at some of the top benefits. Spending the day combing through a bunch of bad data is tedious work and a major time waster. Furthermore, the result of this extensive effort might be little to no actionable information. Also, with finding inaccurate information, employees may be led down the wrong path and not towards the goal. However, with clean company data, businesses can be sure employees are making the best use of their work hours and accomplishing goals. Building a pipeline of new revenue requires having accurate data about customers you want to target for your marketing efforts. Having the correct email address, mailing address and phone number is critical to ensure the highest rate of return for your marketing efforts. Regularly cleaning customer data ensures information is up-to-date and marketers can realize a higher return on investment and a larger pipeline of new opportunities. Effective decision-making is critical to the success of a firm and requires having accurate data. Business intelligence (BI) is a hot topic in all industries right now. For your firm to be able to jump on the BI bandwagon, the data you are using to make decisions must be accurate. Having clean data can support better analytics and improve your firm’s decision-making process. Having clean company data can also reduce fraud and billing mistakes. In many cases, vendors may send multiple invoices for the same service to encourage firms to pay them faster and more often. They are not trying to be malicious. Accurately tracking invoices to see which ones have been paid will reduce double paying vendors. The task of going through your firm’s data can be daunting, but the benefits of clean company data are worth it. To begin the cleaning process, you’ll want to define goals and assign ownership to the different steps required to obtain your goals. You can also automate several of these steps using the different software solutions, or you can seek help from a trusted outside company that is familiar with the ERP system your firm uses.